“Search is the new journal!”, was one of the rallying cries at the recent Force11 meeting in Berlin. But what does this mean? Well, we have a bit of a problem in research – there is so much content being published these days, about 2-3 million papers each year from around 50,000 journals! It has never been more crucial to have efficient ways of searching to discover relevant work for your research question. No single human is capable of this alone. Now, we know Google Scholar is usually everyone’s search engine of choice for research articles. But when you pop in a search term, how do you know what research is good, what’s relevant to you, what people are talking about? You just get an enormous list that trails off with ever-decreasing relevance, and are supposed to be able to figure that all out yourself. We can do better. Efficient search is the core issue that our freely accessible multi-layer discovery engine is helping to solve. The current database at ScienceOpen has more than 36 million article records, and growing at around 100,000 new records each week. Each of these records is linked within the database to other articles through our open citation network. We use this citation information, and other article metadata, to provide an enriched search ecosystem for users. The purpose of this is to allow users to drill down to relevant research using a range of different contexts and criteria, saving time and energy, and facilitating research discovery at multiple dimensions. Citations are still one of the main forms of ‘academic’ currency in a modern research world. Citations only measure how many times a piece of work has been cited without additional context. As such, they are a simple proxy for ‘scholarly discussion’ of a piece of work, but beyond this are essentially devoid of legitimacy as a metric. Sorting a search result by citations allows you to see what is most popular in a research context, and which articles have been particularly important in developing new disciplines, ideas, and ways of thinking. Identifying highly-cited articles provides for you a great starting point for further discovery. Citations reveal to you the lineage of ideas – start at the top, and work your way down! Understanding the historical context of ideas is critical for good research, and ScienceOpen helps you to explore this. Altmetric scores are a combined measure of social attention for articles. They give us a nice idea of how much an article is being discussed in news outlets or on social media. If you want to keep up with the buzz in your field, or find out what’s of interest in another, ScienceOpen gives you the tools for that. 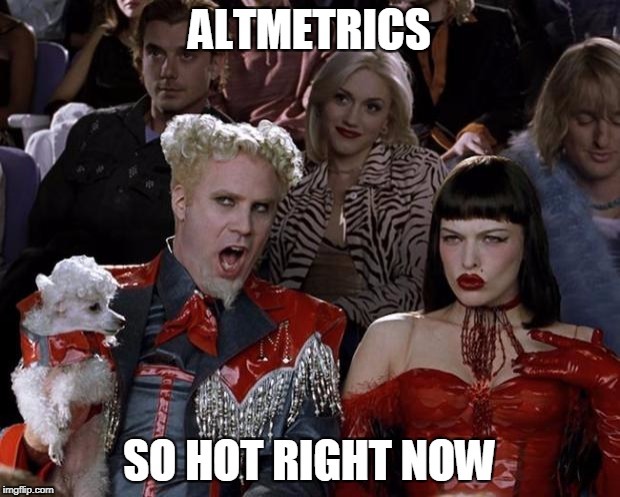 Altmetrics. So hot right now. Recently, we announced a new Open Access hosting partnership with UCL Press. But just what does this mean, exactly? Our customised hosting services are designed to help publishers showcase and distribute the Open Access journals that they publish to maximum effect. These are the natural extension of our marketing and indexing services, developed on the basis of our years of experience in content management architecture layered with advanced discovery technologies. By working with a range of publishers and content types, we have built a flexible platform to inter-connect scholarly articles at the level of their metadata, and establish a forum for user interaction around them. For Open Access journals, however, we are able to offer further advantages by embedding the full text articles within our discovery environment. We provide seamless, interactive, and engaging user access to all your published content, over a range of formats and types, maximising dissemination and re-use. We offer personalised branding and relationship management through our trusted network of strategic partners, including ORCID and CrossRef. We put you at the forefront of emergent technologies that are helping to revolutionise our industry through development of scholarly infrastructure. Embedded within our discovery environment and synchronous with our own content growth goals, our model drives users to your content, based on providing intuitive solutions and connections from semantic frameworks and discovery technologies. Recently, we announced new features enabling authors to add non-specialist summaries to their articles indexed on ScienceOpen. We believe that having authors add these to their articles helps to make them more accessible to a wider audience, increase their reach. It makes a clear statement that they care about the societal impact of their research. Well, clearly you are all seeing the value in these features too! We’ve already had over 170 great authors writing non-specialist summaries since making the announcement. By integrating this into our research engine, we are seeing those articles gaining a huge boost in popularity! These authors have also added extra keywords and thumbnails to their articles to make them more visible and discoverable on ScienceOpen. We are extremely happy to see authors keen to make their work more accessible. The great thing about adding these summaries is that they are valuable whether or not the articles are published Open Access. At ScienceOpen, we offer a range of next-generation indexing services. This includes a package especially for institutes, to help them gain the maximum visibility and re-use of the articles their researchers publish. If you’d like to know more, see this presentation from our co-founder, Prof. Alexander Grossmann, below. Making your institution’s research more visible. Tracking your institution’s research output. Letting your researchers track usage of their own work. Helping others find your content through our similar search features. Extract and export usage information. Author profiles and statistics all connected to a researcher’s ORCID profile. All of this is free for all authors and users! To learn more, contact us here. In the current ecosystem of academic publishing, research outputs make a long journey from the desks of researchers to research platforms. Once a preprint has been turned into a published paper, authors have almost no influence on metadata tagging, or whether their articles got indexed in a whole world of databases and research platforms. If you have ever come across a ‘ghost profile’ of yourself on the Web, this is where it came from. With MyScienceOpen, our vision was to create a holistic platform where researchers can flexibly interact with their research outputs, and control the content themselves. In addition to our range of visibility enhancement services and impact monitoring tools, it remains crucial to enable authors to freely manage their articles on our platform and add new content easily and in a 100% legal way. As a result, we are excited to announce our new article integration feature. This is the first time that a major research networking platform facilitates interaction with content from publishers, as opposed to manually uploaded records from individual authors. In a time where we are all over-worked, it is crucial not to add to researcher fatigue. This is why we leverage ORCID for seamless and efficient integration of your research outputs into ScienceOpen. Here, we will briefly guide you through our new content management features and share some tips and tricks to make the most out of them. Ready? At the moment, you can add content to your ScienceOpen profile from two sources: from ORCID or form our existing corpus of 32 million article records. In addition, collection editors are also welcome to submit DOI lists, and BibTex or RefWorks files to us, and let us work our magic behind the scenes to integrate these into our database or your profile. ORCID integration on ScienceOpen has never been easier. 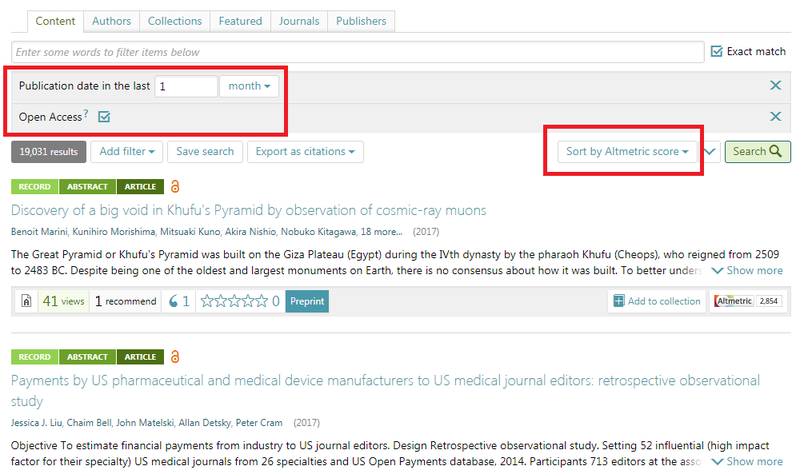 Your ScienceOpen profile and list of publications can be updated directly using your ORCID profile, providing effortless integration of the two. This means that there’s no journal policy checking, no manual uploading, and no takedown notices, as the whole thing is based directly on your publication record itself. Seamless ORCID integration on ScienceOpen 1. Last week, we were pleased to announce the launch of our new professional networking platform, MyScienceOpen. Fully integrated into our article archive of 32 million article records, and combined with our extensive researcher toolkit, MyScienceOpen is the only research networking platform you will ever need! Now, this is not just another researcher profile. This is the researcher profile. Why have one profile for your research usage, another for you article records, another for your science communication activities, another to record your peer reviews, another for searching for research, and another for tracking citations and Altmetrics? It’s exhausting! MyScienceOpen brings you all of these features into one platform. We make this even easier by leveraging the power of ORCID to make integration, tracking, and activation of your research one seamless process. All it takes is the click of a button! We recognise that some times it’s not clear exactly what you’re supposed to do when joining a new research platform. What are the important features, what’s everybody else doing, how do I make my profile as strong as possible? Well, hopefully this will make it easier for you. If you’re still wondering ‘What’s that ScienceOpen thing all about?’, hopefully this will add a bit of clarity too! More than 3 million researchers already have an ORCID account, which acts as both a unique identifier and an integrated profile for them. Registration for it takes 30 seconds, and is now a core part of scholarly infrastructure, with many journals requiring an ORCID profile prior to article submission. Make sure it’s well-populated with all of your published papers, (drawn automatically from Web of Science, Scopus, or CrossRef). Easy! 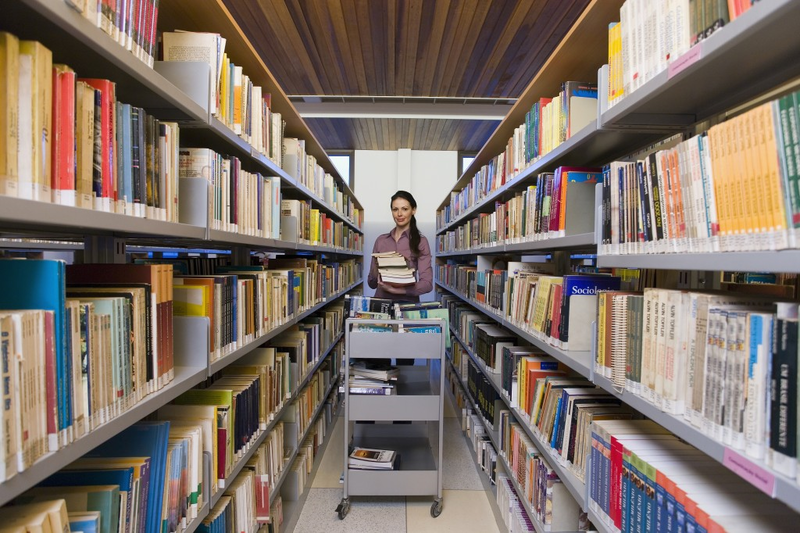 Literature review is a crucial aspect of scientific work, with every single published research paper requiring one as part of the Introduction. Still, keeping up with the rapidly growing body of literature can be a daunting and time consuming task, and difficult to integrate into the everyday routine for many researchers. Being not an urgent, deadline-driven kind of activity, regular literature review often lands on the bottom of to-do lists. However, with more than 2 million research papers published each year, how are you supposed to efficiently stay on top of this? This is especially the case in the era of digital publishing when the power of established, high impact factor journal brands is becoming less important compared to article-level metrics and individual assessments. In this dynamically changing environment of scientific communication, keeping an open mind and providing critical evaluation of the literature have never been more important. Consequently, signing up to individual RSS feeds or browsing through the contents of each of the key journals of your field of research is simply not an efficient way to keep yourself up to date. At ScienceOpen, we offer powerful solutions for staying on top of recently published articles. By following the 3 steps below, you can easily integrate an effective literature review and discovery routine into your research life.